Every year, World Wars I and II get further and further away. They seem more and more like part of the distant past and less like an unfortunate part of our own time. Still, many people alive today have grandparents, great-grandparents, and even possibly parents who served in World War I. Looking for military heroes in our past keeps us connected to these tumultuous global events personally, even if we never experienced them. The British Army WW1 service records from 1914-1920 are available for those who are interested enough to learn in detail how their personal histories were connected to broader, global history. Hundreds of thousands of men voluntarily joined the war effort in the earliest stages of WW1. The extensive British propaganda effort, a terrible job market, and general feelings of cultural malaise all contributed to the mass enlistment, in addition to the noble ideas of serving one’s country. Propaganda used many tactics, including shaming, appeals to fear, and appeals to the conscience. 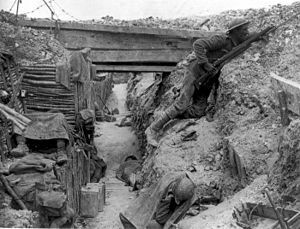 The Somme campaign and its horrifying 500,000 casualties contributed to falling volunteer soldier rates. In 1916, conscription began, first for single men, and then expanding to include all men aged 18 to 41 as possible draftees. As such, WW1 directly affected multitudes of families throughout the United Kingdom and beyond, and many families today would have ancestors who were directly or indirectly affected by it. Women were also able to join the war effort in a non-combatant role as nurses or cooks. Military heroes need not be limited to the soldiers. Social changes occurred in the wake of World War One, in recognition of the service military heroes performed. Millions of soldiers left for the battlegrounds unable to vote, and the Representation of the People Act 1918 changed all that. Men over the age of 21 who were householders were granted suffrage. The hypocrisy of denying the right to vote in a democracy for those who had risked their lives defending it was untenable. Women over 30 who owned certain property were also granted suffrage. The United Kingdom rallying around its servicemen and women was but a minor part in the tremendous aftermath of the war. Official reports indicate that there were over nine hundred thousand casualties, including killed in action, dying of wounds, taken as prisoners of war, or missing in action. Uncovering the legacies of these military heroes would be a daunting but rewarding task. Good military records in the 1910s have made ancestry detection easier than it has been for other times and places. Tracing your ancestry to the very early past is very difficult. People from certain socioeconomic backgrounds may not have left very good records. There was no assurance that everyone would have birth records until the early to mid-twentieth century. Finding ancestors in the military can be a direct route to finding many of your ancestors, given the stability and detail of military records. Their accomplishments will not be forgotten by anyone.